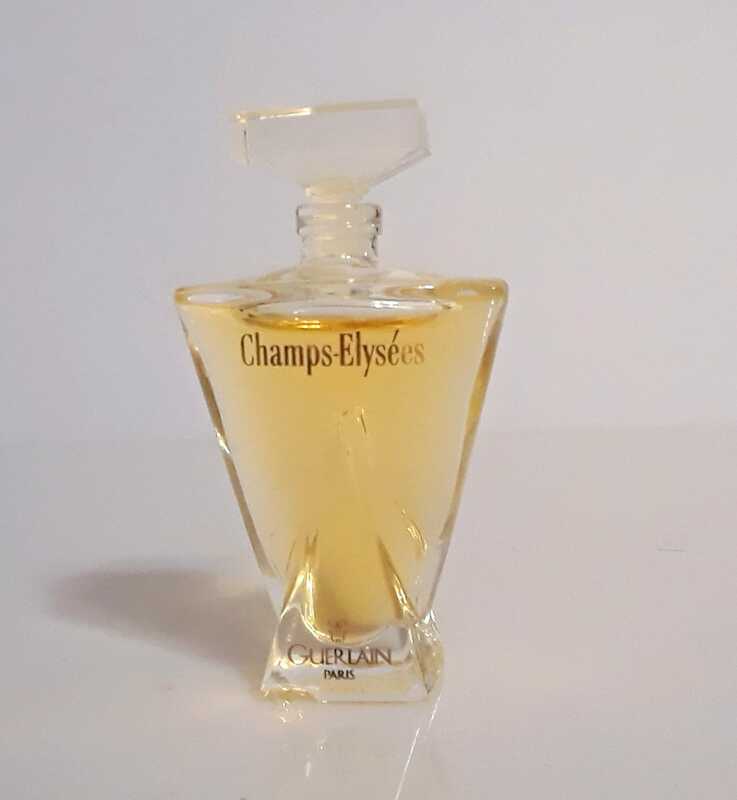 Vintage 1990s Champs Elysees 0.17 oz (5ml) Eau de Toilette Mini Miniature . The bottle is nearly full - see photo for actual fill level. The perfume is old but I just tested it and it still smells good and is wearable. Batch code is PKOWA which corresponds to 1996. 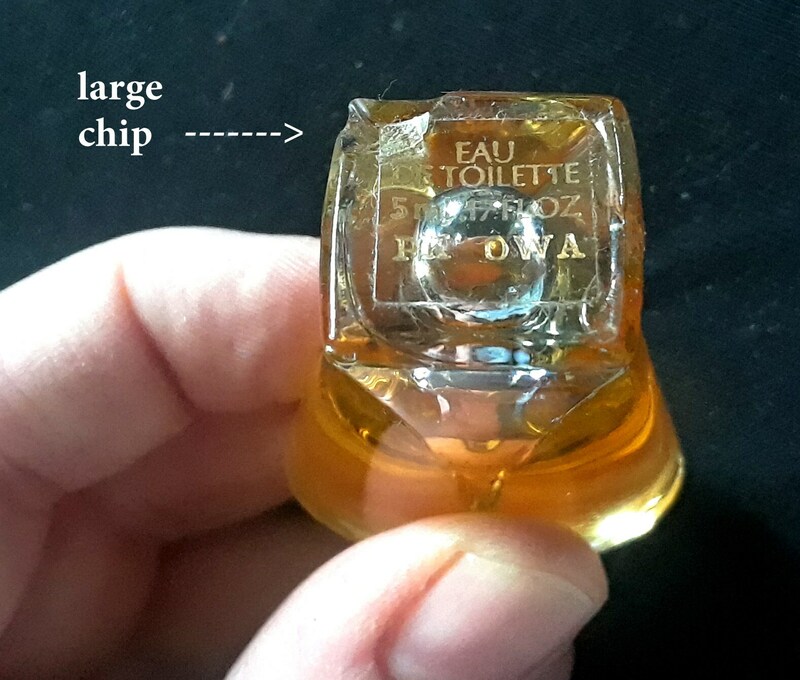 The base of the bottle stopper has a good sized chip on one corner. 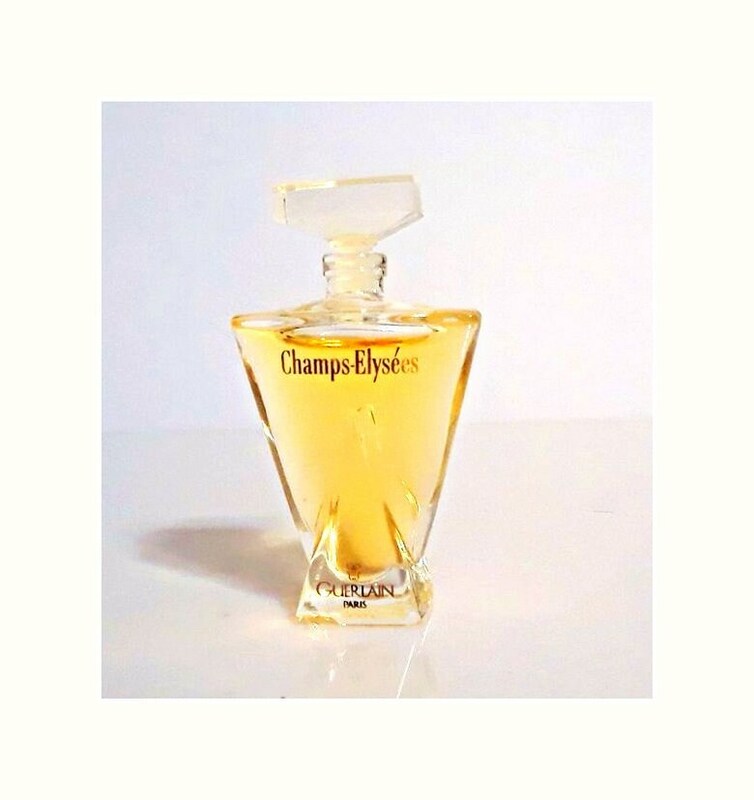 Champs-Elysees was created by Jacques Guerlain and Jean-Paul Guerlain in 1996. It is classified as a fruity floral fragrance for women. It bears no resemblance to the original Parfum des Champs-Elysees. 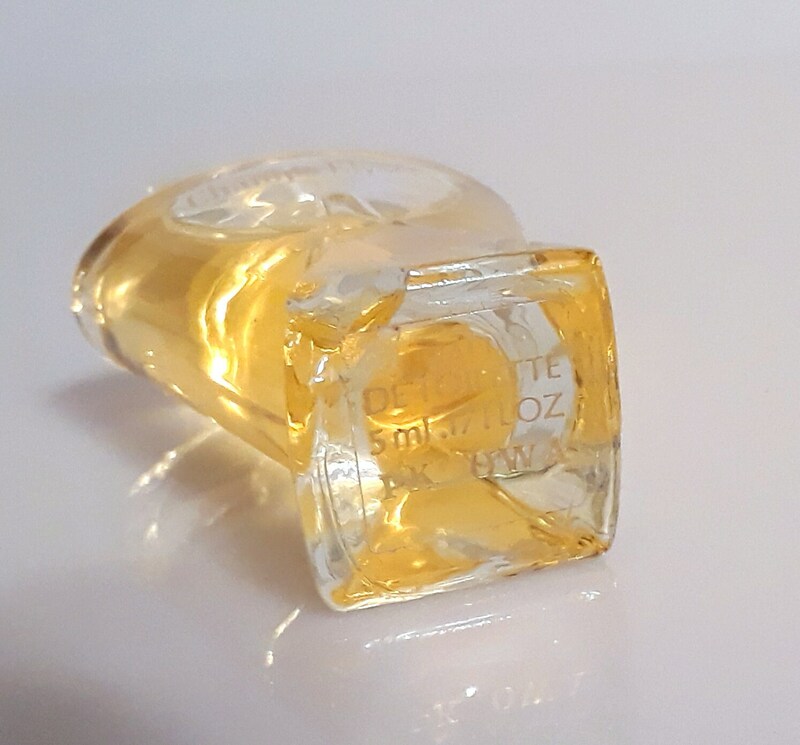 The Extrait (Parfum) was discontinued in 2018, making this is a hard to come by perfume.